Considering that hydraulic cylinders play such a vital role in the performance of your hydraulic equipment, no doubt you want the best. For most applications, that means Parker hydraulic cylinders in Norwalk CA. Of course, in order to perform as promised, your cylinders need to be paired with other quality equipment, so if your cylinders keep failing, don’t just immediately blame the cylinders! 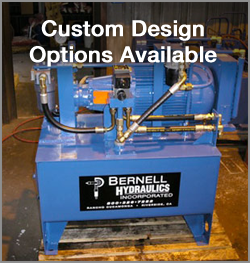 At Bernell Hydraulics, we can help you troubleshoot cylinder problems and make sure you get all the parts you need for a lasting, reliable solution that delivers the performance and power you require. As a leader in core motion and control technology, Parker has been making high-quality, expertly engineered hydraulic components since 1918. Parker’s hydraulic cylinders have not escaped the company’s innovative spirit and rigorous eye for detail. One special innovation Parker has made on their line of piston rod cylinders is their Zero Leak technology, which utilizes special seals and materials to remain leak-free even in dry rod conditions. At Bernell Hydraulics, we can help you source whatever kind of Parker hydraulic cylinders in Norwalk CA you may need, even if you don’t see them on the shelves of our stores. We can also help you explore the option of fabricating a totally custom hydraulic cylinder.